The folk musicians who gather in the Elsinore every Tuesday evening were applauded by the Runswick Bay Rescue Boat Committee in June. 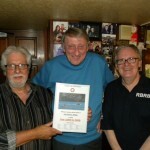 Chairman Ian Dobson handed a certificate of thanks to the host of the evening Tony Maher. Tony with his wife Angie have been fronting the session at the Elsinore for over three years and two and a half years ago were asked if they would collect for the Rescue Boat. With the approval of landlord Len McKnight they put a collection box in the pub and customers are encouraged to donate to the cause. 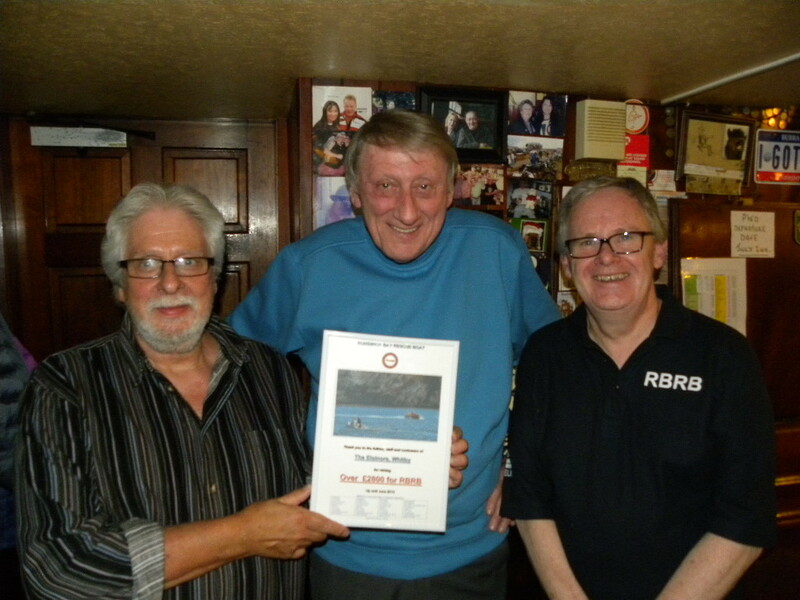 In the period they have been collecting they have managed to raise an astonishing £2,800 for the Rescue Boat. Ian Dobson warmly thanked Tony & Angie, the musicians, the landlord and staff and said that without such wonderful support the Rescue Boat could not continue to be the success that it has been. The Rescue Boat was founded in 1982 after the RNLI moved the station in 1977. 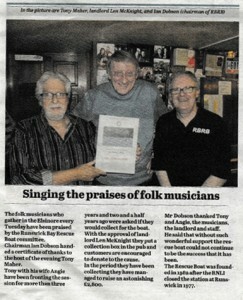 The Whitby Gazette published this on 26th June.